Ephedrine is the active ingredient in Ephedra sinica. 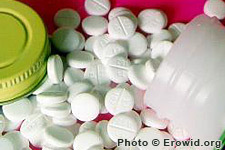 One isomer (pseudoephedrine) is widely sold as a decongestant while the other (ephedrine) is a commonly used stimulant. Wnat are the risks of Xenadrine? How much Ephedrine is in the Ephedra plant?